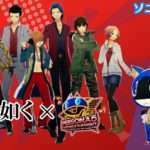 Sega Games has announced a collaboration project during April’s official “PSO2 Station!” live broadcast, which took place at Sega Fes 2018. 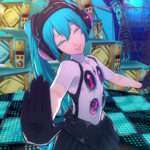 The project will be for the MMORPG Phantasy Star Online 2, featuring the upcoming Persona rhythm games, and it is scheduled to be launched in June 2018. 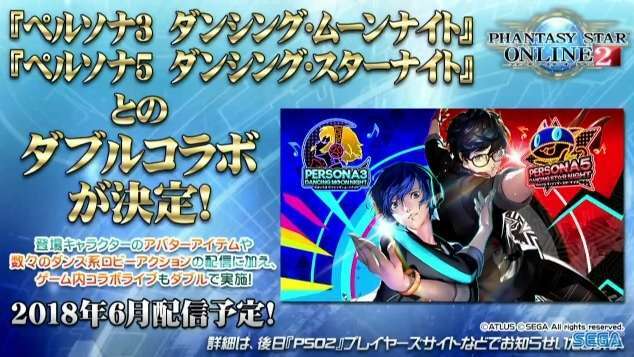 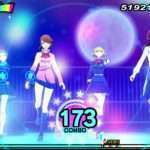 The collaboration will include Persona 3: Dancing Moon Night and Persona 5: Dancing Star Night avatar items to modify a character’s appearance, and dancing character lobby actions. 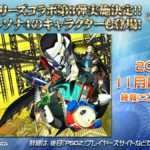 Further details will be announced at a later date. 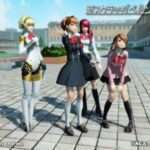 Previously, a Persona 5 collaboration with Phantasy Star Online 2 took place in December 2016.